1 x Doll Keychain. Also note that monitor settings may vary from computer to computer and may distort actual colors. Great gift for your families and friends. Width: 1.5cm (0.59in). Size: One Size. Excellent or better, super clean condition. Matryoshka doll also known as Russian Nesting Doll, or Russian Doll, is a set of wooden dolls of decreasing size placed one inside another. 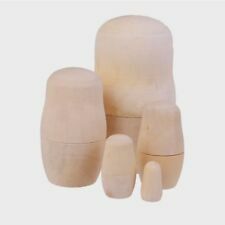 - Wood made traditional matryoshka dolls, the perfect material and handmade craftwork ensure dolls more durable. MODEL: 555995. WHATS INCLUDED: SURPRISE UNICORN. 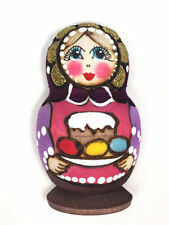 Included:1Set(5 pcs) Wooden Matryoshka Doll. It consists of 5 dolls, all smaller dolls are entering into bigger ones. Material: Wooden. Hand carved and hand painted. If item is defective after 3 months, you can still send it back to us. 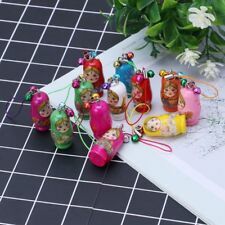 Blank Unpainted Matryoshka Doll is specially for those people who wish to paint own matryoshka. 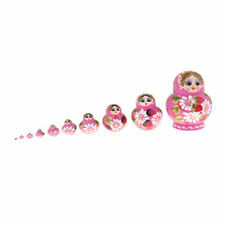 - It consists of 10 dolls, all smaller dolls are entering into bigger ones. 1 set of 10 dolls. - Material: wood. 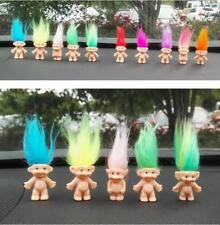 Set of 6 Pieces Troll Doll. - Also can be accessries for dollhouse, creating colorful life scenes. Doll Height: Approx. 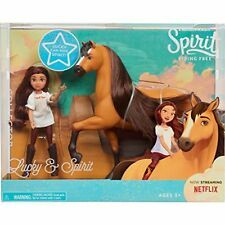 Best Gift and Toy for Kids. Due to the light and screen difference, the item's color may be slightly different from the pictures. 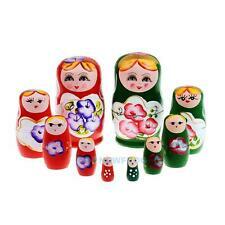 Russian Nesting Dolls 10 pcs Set Blue Hand Painted Tiny Matryoshka Babushka. 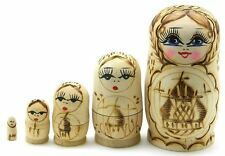 A matryoshka doll, also known as Russian nesting/nested doll, refers to a set of wooden dolls of decreasing size placed one inside the other. Trending at C $20.53eBay determines this price through a machine-learned model of the product's sale prices within the last 90 days. Huge lot of 41 assorted Treasure Trolls. Awesome Lot!! Some Rare Ones!!! 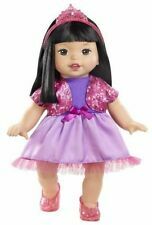 Russ Troll Doll 4.5"- Around The World Japan - Kimono Sandal - Purple Hair. Missing one sandal. Condition is Used. Shipped with USPS First Class Package. In addition to your new Basic pull-string ventriloquist dummy, this Bonus Bundle includes the 30 page VENTRILOQUISM REVEALED booklet that includes sections on What It’s All About, Where You Should Start, How Ventriloquism Is Done, How To Write A Ventriloquist Dialogue and more! You’ll also get TWO Finger gEyes ™ that are great for practicing your ventriloquist skills or entertaining. (Finger gEyes colors may vary from those shown in the pictures.) Slappy is the star of the super popular "Goosebumps" movies, books, and television series, He comes completely dressed with bow tie and flower and spooky eyes! (Not glow in the dark.) This celebrity ventriloquist dummy doll comes with a set of basic instructions included on "How To Be A Ventriloquist". Magic Trolls Babies named. Have a look around my store for other trolls. Applause dated 1991. It is being sold in sealed box never opened. Made by. Hatchling dinosaur. Have a look around my store for other trolls. With Pink Hair. From top of head to toe he measures 3.5" tall ( counting hair 5" tall). Made by. Russ Troll Doll Christmas Carols Green Hair Brown Eyes Winter Seasonal 5”. Some wear on shoes as pictured. Condition is Used. Shipped with USPS First Class Package. 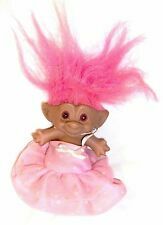 4.5" Russ Troll Doll Wedding Bride Vintage Pink Hair Brown eyes. Condition is Used. Shipped with USPS First Class Package.